I’ve been studying with Rabbi Aryeh Nivin for almost 9 years now. 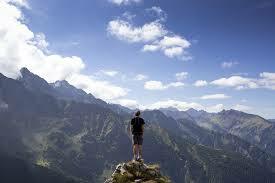 His program, for me, has been absolutely life-altering. I RECOMMEND IT MOST HIGHLY. 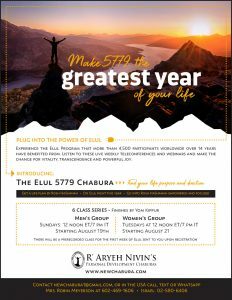 Rabbi Nivin will be starting his 6-week Elul program this August 21st. Mention JewishMOM.com when you register and you will automatically be included in a raffle to win the $100 prize–this Elul course, for free. Why's Yoel's Principal Smiling like That? Just wanted to echo your sentiments: I’ve been in the chabura for 5 years now and it’s LITERALLY changed my life in so many ways. So so worth it. Can you still put me int the raffle?